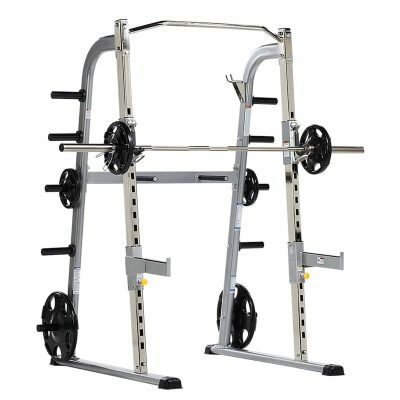 TuffStuff’s Evolution Series includes the Dual Stack Functional Trainer (MFT-2700) which offers extreme versatility and enables users to perform an unlimited number of functional fitness, sport specific, bodybuilding and rehabilitation exercises. 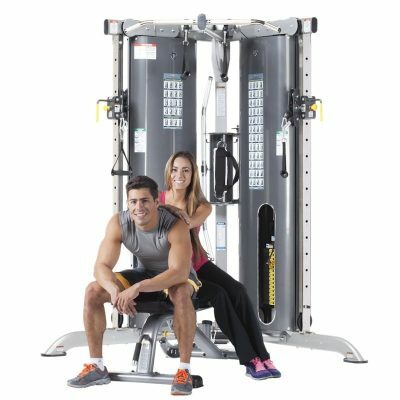 TuffStuff’s Dual Stack Functional Trainer (MFT-2700) is a commercially rated heavyweight machine manufactured with industrial components and modern elements to compliment any gym or fitness studio setting. 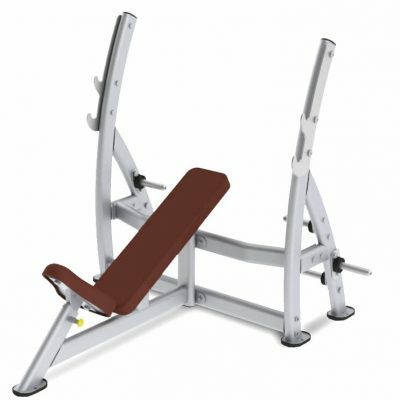 The MFT-2700 features dual 200lbs. 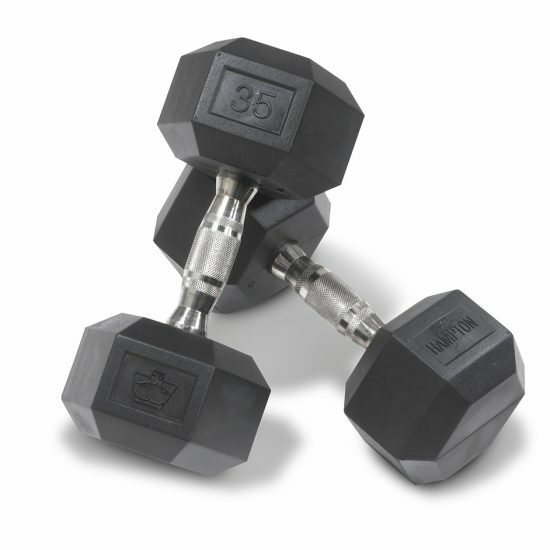 steel weight stacks and a heavyweight 11-gauge steel frame. 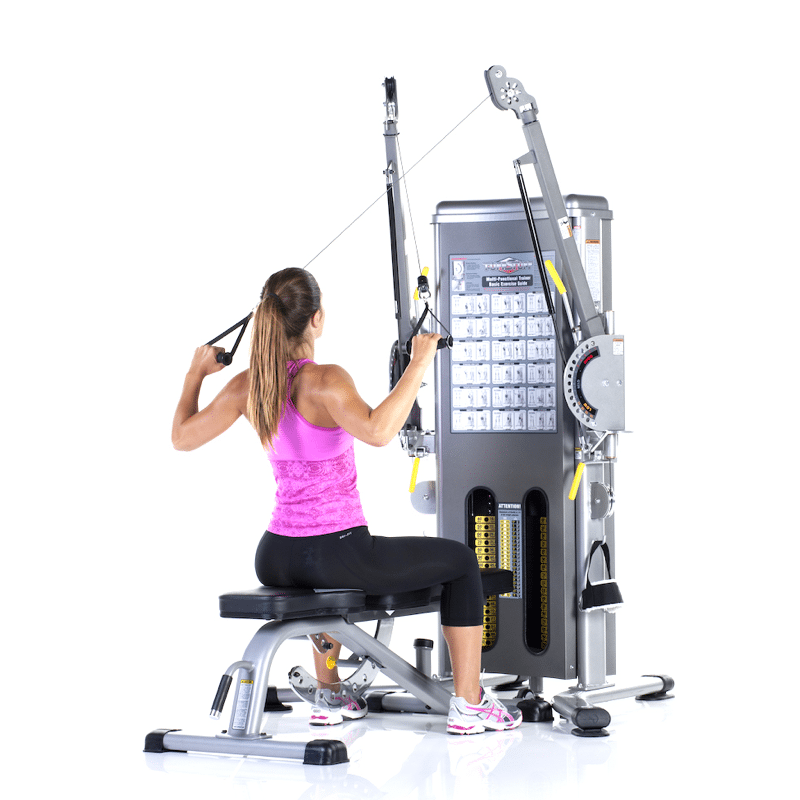 Highly adjustable, the extension arms offer 150º (14 positions) of high-to-low vertical adjustments and 165º (5 positions) of side-to-side horizontal adjustments. With rotating swivel pulley brackets, the MFT-2700 provides 360º of unrestricted vertical, horizontal, diagonal and rotational resistance trajectories. 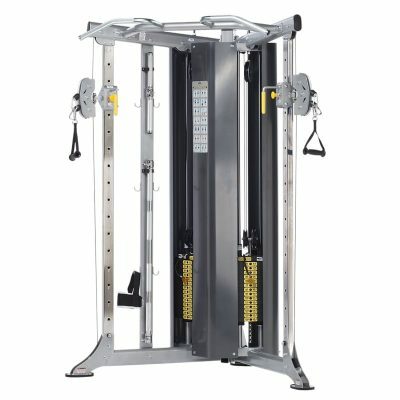 The Dual Stack Functional Trainer includes a main frame footprint less than 16 sq. 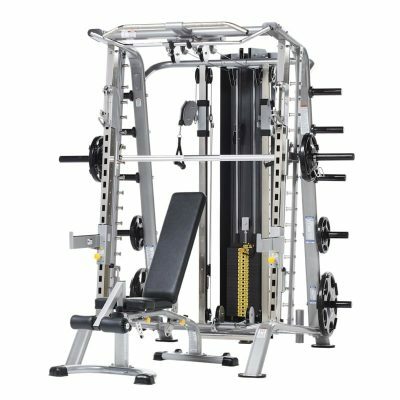 ft., the most space conscious dual stack functional trainer on the market. 2 x 4” 11-gauge tubular oval steel main frame and 7-gauge laser-cut adjustment plates. 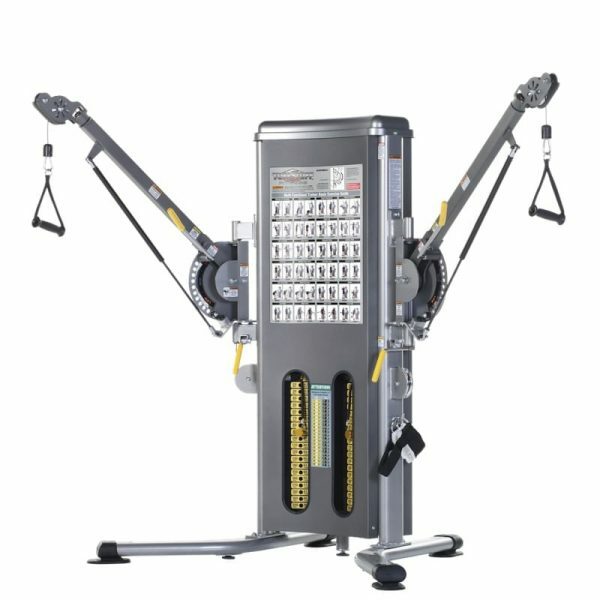 Pivot arm offers 150º (15 positions) of high-to-low vertical adjustments and 165º (5 positions) of side-to-side horizontal adjustments. Hydraulically supported pivot arms and spring loaded selector handles make adjusting safe, simple, quick and easy. Rotating swivel pulley brackets provide 360º of unrestricted motion – vertical, horizontal, or diagonal rotational resistance trajectories. 1/8" USA-Made/Certified EXERFLEX PRO high performance fitness cable provides ultra smooth friction-free travel. Features high strength aluminum pulleys with sealed ball bearings that are maintenance free and virtually indestructible. Two (2) 200 lbs. steel weight stacks. 1:4 ratio delivers2.5 lbs. resistance increments and 96 inches of extended cable travel.